Tampa, Florida combo Hate Eternal burst onto the international death metal scene in 1997. Led by former Ripping Corpse and Morbid Angel guitarist Erik Rutan, it was one of the earlier American death metal acts to follow Krisiun’s and Suffocation’s lead in terms of speed, density and heaviness. Drawing most of its inspiration from Rutan’s former employer Morbid Angel “Conquering the Throne” is a mix of Florida and New York death metal. The band initially debuted with an independently released demo in 1997, aptly called “promo ‘97”, which also doubled as the “Engulfed In Grief” demo of Rutan’s symfo metal band Alas. Of the three tracks that featured on this tape, only ‘Messiah Of Rage’ wouldn’t be re-recorded. This was the only record of its kind in terms of membership, as both former Suffocation guitarist Doug Cerrito and drummer Tim Yeung were drafted as session musicians, with Erik Rutan (vocals, lead guitar) and Jared Anderson (bass guitar, backing vocals) forming the true heart of the unit. It is Hate Eternal’s most lively, spontaneous and diverse record – and for these reasons also its most divisive. Hate Eternal is centered around vocalist, guitarist/producer Erik Rutan, formerly of New Jersey formative death metal outfit Ripping Corpse and Cinncinnati, Ohio transplant Jared Anderson on bass guitar and backing vocals. The band derives its name from the track ‘The Hate Eternal’ of the 1992 “Industry” demo, the swansong for Ripping Corpse as Rutan went to tour and record with Morbid Angel, while one member attended the Berklee College of Music in Boston, Massachusetts and the others reformed as Dim Mak. The original Hate Eternal logo was created by Rutan’s significant other Jennifer Gideon, and it has remained unchanged thus far into the band’s existence. 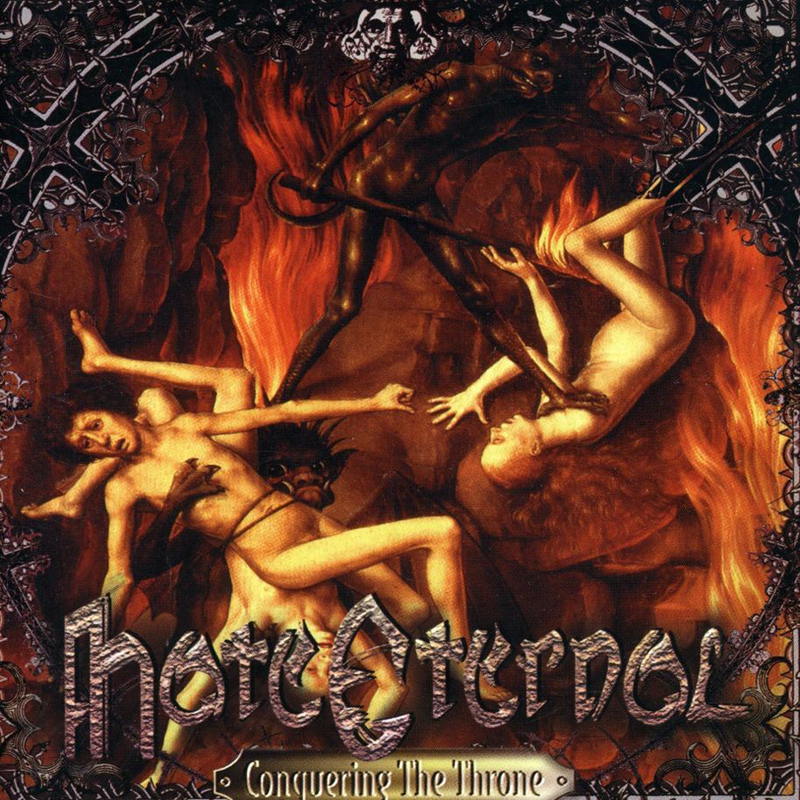 “Conquering the Throne” is one of two records not featuring artwork by Paul Romano, and it is one of a number of small stylistic diversions that differentiate it from later Hate Eternal output. Derivative in its architecture and unrelenting in its pace “Conquering the Throne” stands with one foot in the future, one foot in the past. It remains Hate Eternal’s most listenable album by far. Ultimately generic but surprisingly effective, and awe-inspiring in its intensity this record is the embodiment of a newer, faster and largely more brutal subset of death metal that has since become the standard, the norm. Although the South Americans of Krisiun predated them by several years, Hate Eternal did it first in the US. Starting with a sampled nuclear explosion it is indeed the sound of the apocalypse that ‘Praise Of the Almighty’ brings. 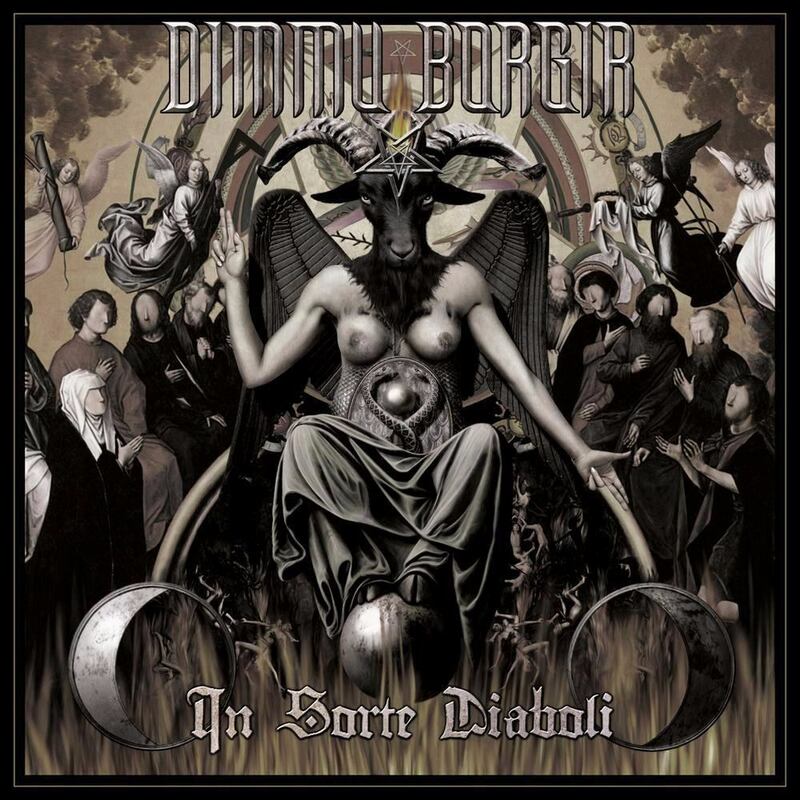 Although the record is similar in construction to Morbid Angel’s own “Formulas Fatal to the Flesh”, it is the central architecture that sets its apart from its more established counterpart. Where Morbid Angel sounded dazed, confused and directionless on its album, Hate Eternal knows its objective and how to reach it. At its core this is “Covenant” in more ways than one. The guitar tone is similar, the drum sound is similar and even Rutan’s beastly growls mimic those of the then still relevant David Vincent, death metal’s most celebrated frontman at this juncture. There are important differences on a number of facets that differentiate this new unit from its older counterpart. Hate Eternal cares not about subtlety, or about atmosphere of any kind. No, the band’s primary objective is to pummel the listener over the head and into submission by sheer force of power. Unrelenting in its riff assault and frightening in its percussive intensity “Conquering the Throne” is a display of instrumental mastery and razor-sharp precision at dizzying warp speeds. Just like the Nile debut that was released the year before Hate Eternal is all about extremity, even if at the price of replayability. The presence of Doug Cerrito also brings in the earlier mentioned New York influence. The three tracks that he contributes to this album sound exactly like you imagine they would given where he was at this point in time. ‘Nailed to Obscurity’, ‘Dethroned’ and ‘Spiritual Holocaust’ are largely similar in construction to Suffocation’s swansong EP “Despise the Sun”. The only difference is the vocal presence of Erik Rutan instead of Frank Mullen. Anderson has no writing credits whatsoever on this record, but his style would define the follow-up to this album, the unanimously savage “King Of All Kings”. Making his recording debut as a studio musician is drummer Tim Yeung. Based upon his performance here Yeung would later do session work for Maryland death/black metal unit Aurora Borealis (2002) and for California-based act Decrepit Birth (2003) before venturing out on his own, along with former Fear Factory guitarist Dino Cazares, to form the melodic metalcore act Divine Heresy. Interesting to note is that Aurora Borealis in 1998 and 2000 worked with session/studio drummer Derek Roddy for recordings of two albums. The very same Derek Roddy who would replace Yeung in this act, and who would appear on two of its records. It is probably a coincidence, but it is worth noting. Holing up at Greenhouse FX Studios in Tampa and self-produced by Rutan himself it is surprising that “Conquering the Throne” sounds as good as it does. Just two years later this very same facility would produce Diabolic’s second album “Subterraneal Magnitude”. That is an album that doesn’t sound nearly as vibrant, earthy and rich in tones as this Hate Eternal debut. This is surprising because it would be produced by the very same Wes Garren. 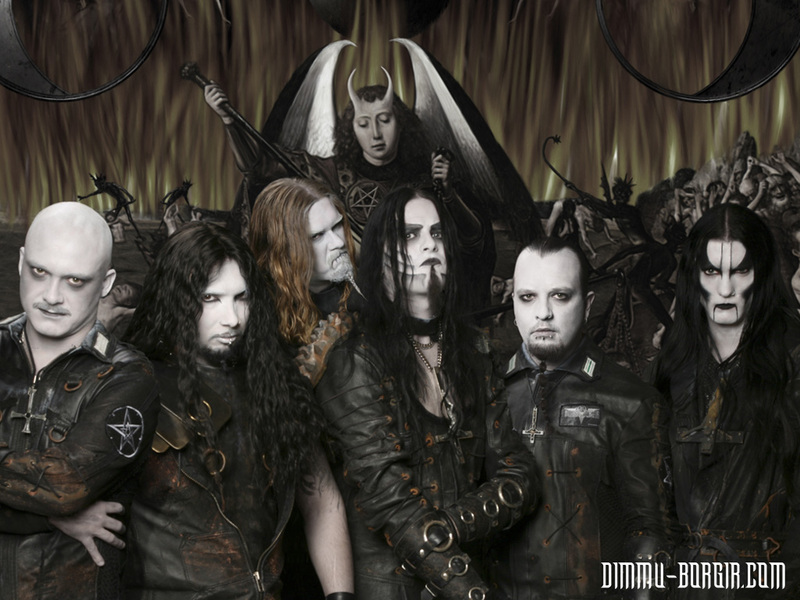 Although this session would span several months, and Diabolic would use the facility for mere days in their recording session two years down the line. Similarly additional mastering was done by Juan ‘Punchy’ Gonzalez, who besides being the resident live sound engineer with Morbid Angel, would also run his own studio compound with Diet Of Worms. The very compound that would drag Morbid Angel into the darkest abyss of mediocrity for what was arguably its weakest offering, the universally despised (but retroactively loved) “Heretic”. Thankfully does the sheer amount of talent in its membership far outweigh the production qualms that strike against it. “Conquering the Throne” does live up to its name, conquering it does. The Hans Memling painting (a small section from right-hand panel of the “Last Judgment” tryptich) that adorns its cover fits the package rather exquisitely. Just like the souls of the damned being dragged to Hell, so does this record drag the listener into the most savage interpretation of the genre. It are only the esoteric leads and solos by Erik Rutan and Doug Cerrito that offer some brief respite in this whirlwind of blastbeats and high velocity aural obliteration. What the band lacks in subtlety it makes up in intensity, and while these songs are hardly the thing of legend (or memorability) the sheer conviction with which the band deliver these tracks inspires respect. It are only the two songs in the middle of the album that stand out from the pack. ‘By His Own Decree’ and ‘The Creed Of Chaotic Divinity’ are far more diverse in terms of structure, and both rely on Yeung’s rolling drums to push it forward. It also beneficial that both are blessed with a catchy chorus which are something that is sorely absent in the remainder of the cuts. Boasting the amount of talent that it has it is not surprising that this record is more about showcasing the members individual - and collective skill at their instrument of choice. While this can hardly be held against the band, it was one of the turning points in the genre as a whole where skill suddenly became more important than songwriting.